Join us for another Biblical discussion of important spiritual principles! In this message we ask an interesting question: if we saw another Saul converted to Paul in our day would the church respond appropriately? This question occurred to me as I was contemplating revival and how the Lord needs to make our hearts ready. If an archenemy of the cross was radically saved and went from persecution to evangelism as Saul did, then it certainly seems that many would retain bitterness and unforgiveness in their hearts and even would resist such a powerful move of the Holy Spirit. Are we truly ready for revival? The scriptures from this message are found in 1 Timothy 1, Acts 8, and Acts 9. 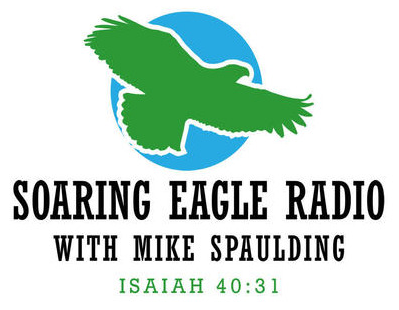 Join your host Steven Menking as he welcomes Myles Francis, Blue Shepard, Chris Baucom, and Jordan Smith for another powerful roundtable discussing preparation and homesteading. The group discusses how to develop mental strength, the character attributes that we are missing the most as a society, and the connection between the mental and spiritual aspects of preparedness. This important discussion emphasizes the mental aspects of preparation that can unfortunately get overlooked when we focus on necessary materials and physical supplies. Thanks for joining us On the Objective! Welcome back to The Amateur Society for a critical discussion about death. We all know intellectually that death is inevitable, but hardly anyone seeks to reckon with the implications of this truth. Death is uncomfortable and even frightening to ponder whether we have been mercifully spared from its immediacy for a time or whether we have been relentlessly exposed to it. It’s no wonder that people try to avoid thinking or speaking of it whenever possible, but it must be reckoned with boldly. Hopefully this episode encourages you to ask additional questions about this overlooked topic. Thanks again for joining us on The Amateur Society! Welcome back to The Amateur Society for an important discussion about the importance of conversation. Conversation is critical to creating and sustaining relationships with others as well as our own identities, but is there a way to have more meaningful conversations than the mundane exchanges we are used to? The consequences of not engaging in this pursuit can be significant, and hopefully your experience with us has helped you to develop the necessary tools to have more purposeful conversations and to appreciate the importance this endeavor holds. Thanks again for joining us on The Amateur Society!